LIGHTOOL is the new from for the coming era, in which many requirements from the actual work sights have been taken. 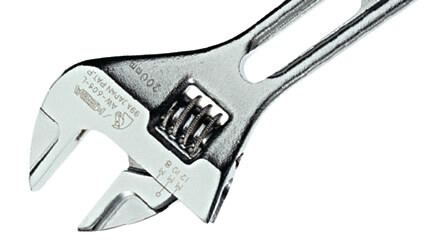 Compared with tools currently in use, we succeeded in aking this adjustable wrench much lighter and lightening fatigue of a user. We have chosen "Light Weight" as the key-word for 21st Century, and trying for full ranges of light weight tools.